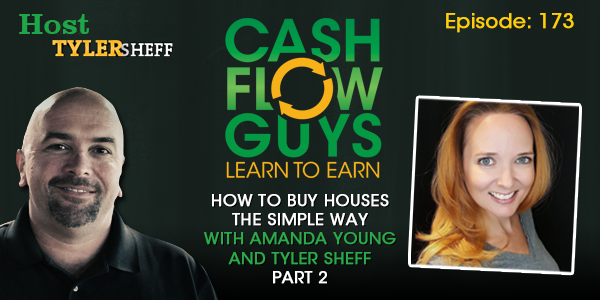 In this episode I continue my interview with Amanda Young and learn more about how this single soccer mom goes about buying houses after losing her job and while unemployed. Yes,you read that right, she lost her job, and THEN bought rentals! Amanda also dives into how she began to attract private money with no prior experience in doing so. Later in the episode; Amanda discusses how adding a partner to the mix (a local realtor friend) she was able to get more deals done in less time and with greater profits. Amanda loves to buy sinkhole homes for pennies on the dollar after she learned that most people (including me) are scared of them. Amanda has taken this niche seriously and for doing so, built herself a nice portfolio of rentals. She deep dives into the history and misinformation about buying sinkhole homes and how she has leveraged this knowledge to her advantage as a rehabber. Amanda has learned to look for problems and uses common sense and patience to orchestrate offers that sellers accept because they are custom to their situation. Many people think that all sellers want all cash.While its true that many sellers think they want or need cash the reality is that the sellers often don’t need cash at all, they need what the cash will do for them. I hear many people say that they don’t believe a seller will take payments for their home. Much of this belief comes from within your own system of beliefs, after all, how can you predict what a seller needs or wants? Yes, many sellers may want and insist on all cash, however Amanda is yet another example of an investor who leverages problem solving into seller financed deals. I bet, if you believed it was possible you could structure seller financed deals, you would own a few seller financed deals. My beliefs have helped me structured tons of seller financed deals,some with no money down and / or zero interest! I believe these two episodes are some of the best content we have recorded, I hope you take the time to listen to them more than once.